10 “boldly unscripted” Kamloops experiences not to miss this summer! Looking to build out your summer calendar with unique adventures, tasty flavours and spontaneous moments? Dare to be bold and make sure Kamloops is added to the list! Taking place in July & August, visitors and locals alike can enjoy FREE evening concerts 7 days a week in Riverside Park. Check out the full schedule here. 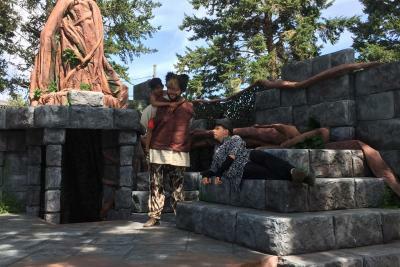 From July 10 – 29th Project X Theatre is excited to be featuring The Jungle Book and Rapunzel at Prince Charles Park in downtown Kamloops. Colourful characters, intriguing stories and after-show meet and greets with the actors make great summer memories. Kamloops is where you will find one of BC’s newest wine experiences - unique wineries all with their own rooted stories in Kamloops. Harper’s Trail Winery was the first Kamloops winery to open and is located on lands once ranched by well known Kamloopsian Thadeus Harper. “Wine down Wednesdays” at Harper’s Trail are perfect for patio sipping and sultry sunsets. At Privato Vineyard and Winery, dedicated to producing premium Burgundian styled wines, owners Debbie and John Woodward were once best known in Kamloops for growing amazing Christmas trees at Woodward’s Tree Farm. Now, their property is a sanctuary for wine lovers to sip their award-winning Pinot Noir in the wine garden during the summer while making Christmas tree hunting a little tastier in the winter. Monte Creek Ranch Winery is the latest addition to the Kamloops wine scene. 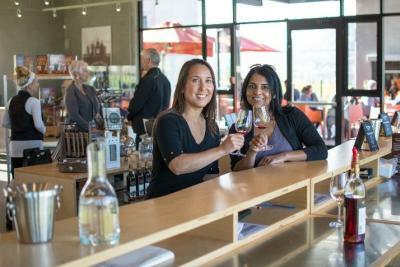 The winery’s owners come from blueberry farming background in BC’s Fraser Valley. Must tries include their signature Haskap and Blueberry wines and don’t forget to leave a little extra time to relax on their patio, Terrace Restaurant, to indulge in their locally inspired alfresco artisan menu. Kamloops Heritage Railway is in full steam July and August offering a fun variety of rail excursions. Be a part of a Billy Miner train robbery, experience a little whimsy aboard the Wizard Express, or enjoy live music from Sabrina Weeks all while you sit back and relax on an open air car pulled by the historic 2141 steam locomotive. 5. Have you SUP’d? Better yet…have you SUP’d in Kamloops? Stand up Paddle Boarding is all the rave lately and what better way to explore the crystal clear lakes surrounding Kamloops than by jumping on one. Or even better, indulge in a YOGA class while on your board. 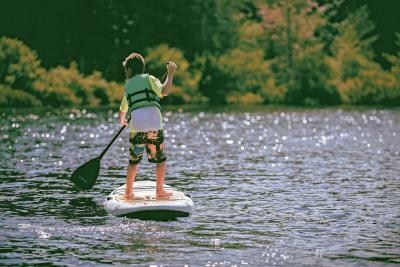 Paddle Surfit and Bruker Marina have everything you need for fun on the water. The PowWow is one of the largest celebrations of indigenous culture and heritage in Western Canada. The Secwepemc nation celebrates their heritage in a vibrant display of storytelling, song, and dance in traditional regalia. 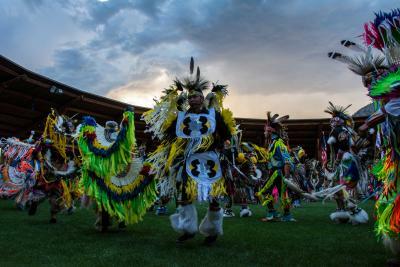 The Powwow represents years of stories packed into three exciting days. 7. BBQ Ribs, Live Music and Cars- Oh My! 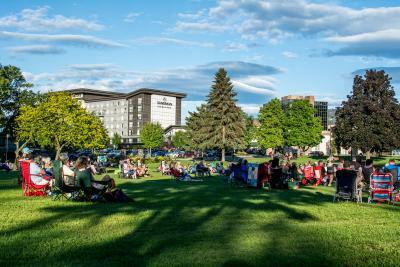 Consider this the ultimate Kamloops summer weekend! 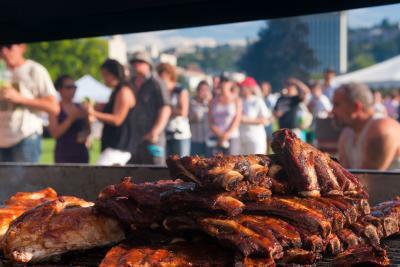 August 11 – 13th hosts the 6th annual Ribfest, kicking off on Friday in Riverside park where 20,000+ rib lovers will taste savoury ribs from all over Canada. Live music in the park hits the outdoor bandshell every evening and the 23rd annual Hot Nite in the City show and shine brings 2 days and over 13 city blocks displaying Street Rods, Customs, American Muscle, Sport-compact, British, European, Collector, Vintage, Bikes, Race Competition vehicles and Highway Tractors. To top off the festivities, the BC Wildlife Park welcomes BC country artist, Aaron Pritchett, for an outdoor concert in the park’s amphitheatre. 8. Take back a refreshing pint or two from our newest craft brews! The perfect place to take back the latest in craft brew. With two official craft breweries and once more set to open at the beginning of August, there are great options to quench your hoppy cravings. 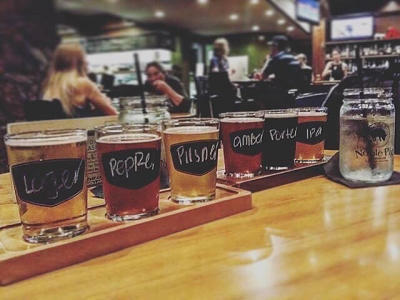 The Noble Pig Brewhouse is the most established pub offering a great blend of traditional IPA’s and seasonal favs. Grab a seat on their patio, originally a hotel pool, and be sure to order the deep fried pickles. Red Collar Brewery offers a unique atmosphere where friends reconnect, board games get played, and at least 25 different beers are brewed each year. Saying hi to Diana, their beloved black lab puppy, is always a highlight! Soon to open, Iron Road Brewing is in the final stages of construction. We are super excited to experience their unique industrial tap house and Vancouver brew experience. Stay tuned for a mid-summer opening. 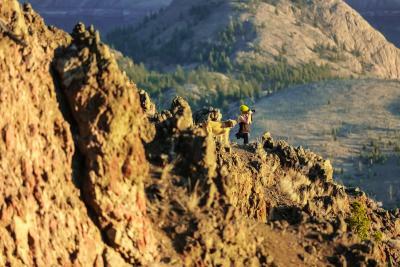 Geocaching offers the perfect way to explore unique areas and have truly unscripted adventures. Kamloops and the Gold Country area offer over 2000+ caches. Mark your calendar – September 28 – October 2nd. 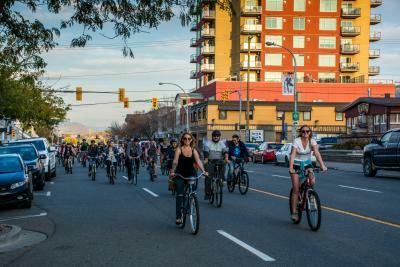 This beer and biking festival is seeing epic growth for its 3rd year in Kamloops. Bike crawls, block parties, FERRIS WHEELS, cask nights and so much more. Brewloops is a weekend event not to be missed!